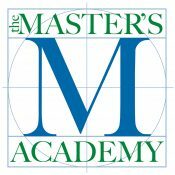 The Master’s Academy offers the following team sports for the middle school age level; all Middle School Sports are available based on student interest: Basketball (boys), Basketball (girls), Flag football (boys), Soccer (boys), and Volleyball (girls). In order to try-out or participate in any sport for the next school year you must turn in a completed FHSAA Pre-participation Physical Evaluation form (EL2) and the Consent and Release from Liability Certificate form(EL3). Also, we require proof of health insurance from each student. These forms need to be turned into the P.E office. The cost will be $150 per sport.